Aaloo Tamatar Ki Sabji is that one of the easiest Indian dish you can prepare. It is very simple yet versatile and irresistible sabji can be done in jiffy or ziffy where Aaloo (Potato) and Tamatar ( tomato) cooked with basic Indian spices. 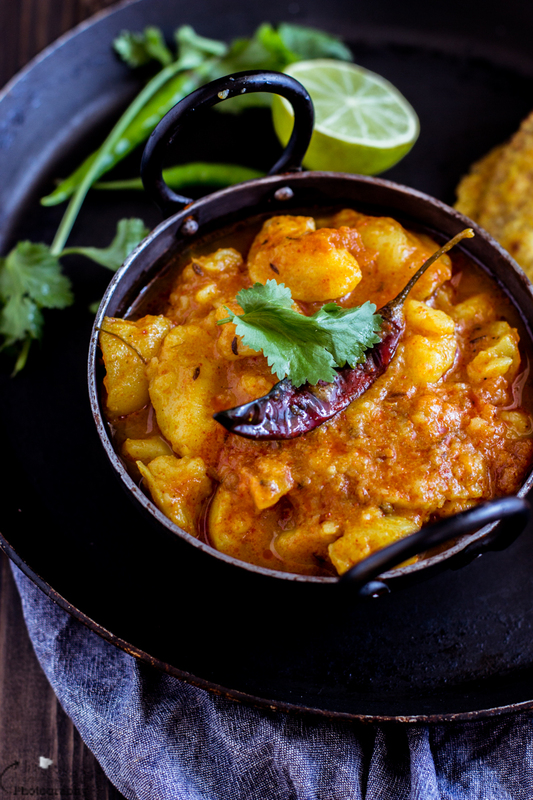 Aloo Tamatar ki Sabji is staple in every Indian household thus not much importance given to this recipe although this amazingly flavourful sabji no one wants miss once it is served to them. 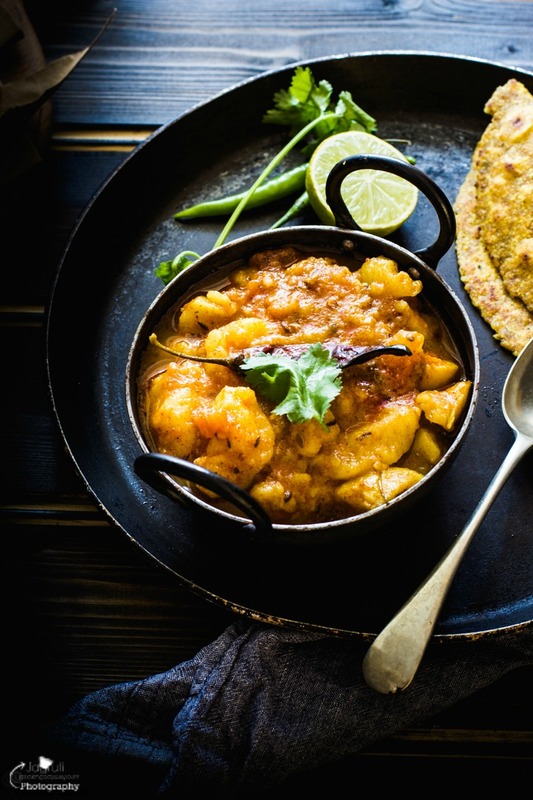 This sabji can be served with roti, naan, paratha or Poori, but in my opinion it is best accompanied with Poori ( Deep Fried Indian Flat bread ) and Aate Ka Halwa ( Indian Wheat Pudding) and that too enjoy for Sunday's brunch. Throughout India, this dish being prepared by every household and every household have their own unique method. I am sharing my recipe which I learnt from my mum ...I wasn't even a teenager that time. Smash the boiled potatoes with your hands, do not mash totally. Heat oil in a kadai, add cumin seeds, hing and dry red chillies. Once they crackle add methi dana and wait till they goes brown. As soon as they go brown, add chopped tomatoes and coriander and fennel seeds and chilli garlic paste. Let the tomato cook for 3-4 minutes then add all the spices and salt except sugar, amchoor and coriander leaves. Cook the mixture till oil separates the pan. Now add boiled potatoes, mix well then add water. Don't make gravy too runny. Cook the sabji without lid until nicely done. Add jaggery and amchoor powder if using. Turn off the heat and garnish the sabji with the fresh chopped coriander. Serve hot with roti, paratha , poori or naan. This time I served mine with Bedmi Paratha. Enjoy. I just had this yesterday!! Love it. Tastes great with rice and roti..you have got me craving for it. I love potato in curry, it always adds such a lovely texture. This one looks so lovely. Need to get my hands on all these spices so I can make this !! Looks absolutely amazing and I am sure it is even more delicious when served with the poori!